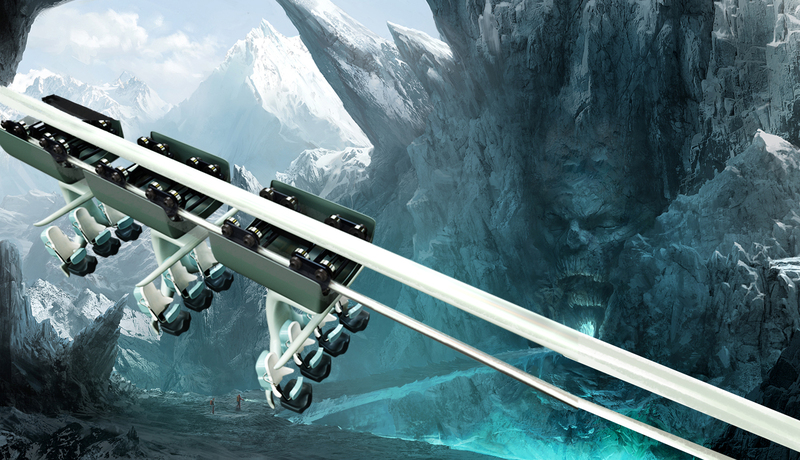 This unique ride system has 3 self-powered vehicle trains suspended from an overhead track. 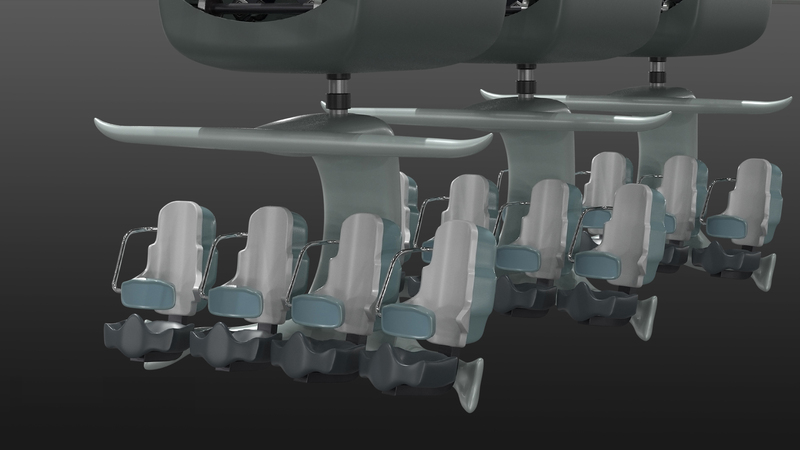 Each vehicle carries 4 riders and is capable of continuous or indexed rotation, and 360 ° rotation directing the rider’s viewing of specific scenes or A/V elements. To make the experience more thrilling, Linear Induction Motor technology (LIM) can be added to the ride to provide exciting launches and daring drops. CAVU’s Suspended Coaster system provides a family-friendly aerial tour through an elaborately themed and/or media rich environment. Created in partnership with PRANA Studios.